producers. 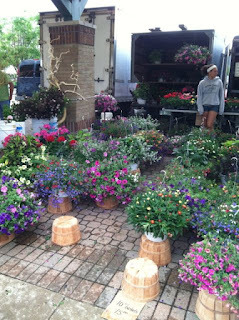 This time of year, of course, there are lots of plants for sale - both all kinds of veggies for people like me who love eat our own produce, and flowers of all kinds both to plant and to simply put into a vase and enjoy. We, of course, had to buy lots of both kinds. Other times of year are marked by when certain items come into the market. 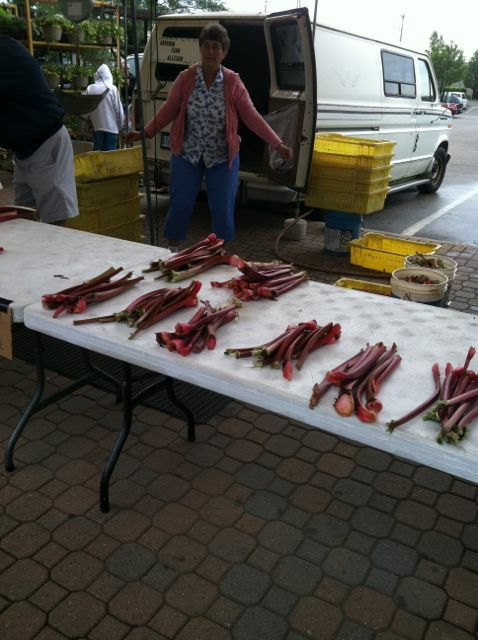 Rhubarb is here now, and in a few weeks the local strawberries will show up, followed by lots of other great things - peas, corn, blueberries, apples, etc. 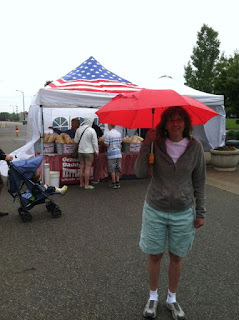 There are of course also lots of other things for sale - several good bakeries hawk their fresh, preservative-free baked goods, handmade wooden and metal items. It will be interesting when we compare the local markets in Mumbai to the Farmer's Market here. Of course, here in Michigan, the Farmer's Market is sort of a quaint throwback in some ways. 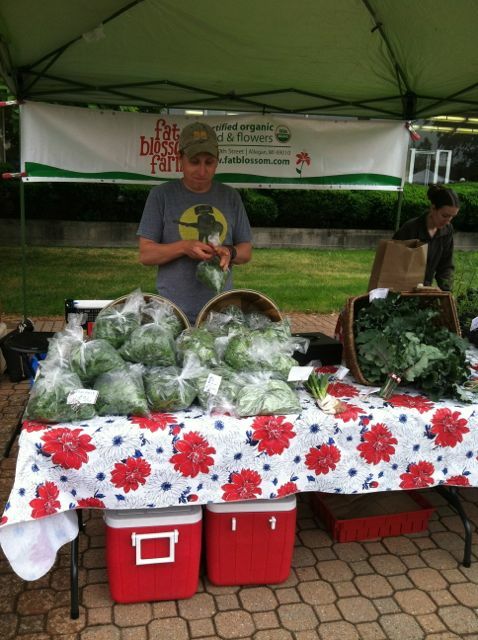 Most people still do their shopping in supermarkets and department stores. 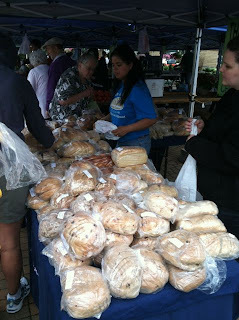 The farmers market is a place where a few folks go for what we can't find in the supermarkets and department stores. In India, I think, (and will soon find out for sure) most people still do most of their shopping in local markets and it is the supermarkets and department stores where a few folks go to find what they can't find in the local markets. I imagine and hope to see and post much more about the markets. 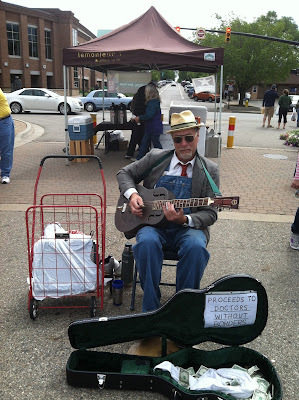 My favorite musician at the market - great blues guitar.